LANGLEY, HENRY, architect; b. 26 Nov. 1836 in Toronto, son of William Langley and Esther Anderson; d. there 9 Jan. 1907. Henry Langley’s father was a shoemaker who had emigrated from Ireland with his wife and three children, settling in York (Toronto) in 1832. Sometime after 1846 Henry entered the Toronto Academy, a non-denominational private school sharing premises with Knox College. The program of study included English, French, the classics, mathematics, commercial subjects, and the principles of linear drawing, taught by Edward Claxton Bull. About 1854 Langley was indentured for a period of seven years to Scottish-born architect William Hay*, a capable designer of public buildings and churches in the most approved and up-to-date fashions. Under Hay’s tutelage Langley developed a lucid drafting style, based on the bold, neo-medieval delineation advocated by contemporary British architect William Burges. He also acquired an appreciation for Gothic Revival architecture, including the tenets of Augustus Welby Northmore Pugin, the revival’s great apologist, and the “science of ecclesiology” (building and decoration in keeping with Anglican high churchmanship) developed by the Cambridge Camden (later the Ecclesiological) Society. Hay specialized in a Gothic style nearly comparable in principle to the work of Frank Wills* (who had introduced ecclesiology into British North America) and of leading Toronto architects Frederic William Cumberland* and William George Storm*. This background proved an invaluable asset in Langley’s future practice, which was said to comprise no fewer than 70 church commissions across Ontario and one as far east as Saint John, N.B. In 1862 Hay returned to Scotland, leaving his practice to Thomas Gundry, an English-trained architect and civil engineer with whom he had entered into partnership earlier that year. Langley’s early promise is demonstrated by the fact that Gundry took him into partnership immediately. Langley assumed the role of design partner; Gundry’s expertise reportedly lay in valuations and estimates. The new firm built upon Hay’s reputation as a church architect, executing commissions for all denominations. By this period the emblematic associations of the Gothic Revival served both those churches that stressed the sacraments and evangelical churches, which emphasized preaching. Variations to suit differing liturgical requirements were especially marked in the interiors, however, and were indicative of Langley’s adaptability. 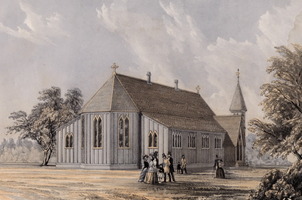 For example, Alexander Street Church (Baptist) in Toronto (built in 1866 but now demolished) was designed as an open hall with a central pulpit surrounded by seating on three sides, whereas St Patrick’s Church (Roman Catholic) on Dummer Street (1869–70) – renamed Our Lady of Mount Carmel, St Patrick Street – has a long nave leading between narrow aisles to an elevated and apsidal sanctuary, in accordance with the requirements of the mass. East of Toronto, three Anglican churches of the same decade illustrate the variety of materials and scale used by Langley to suit the available resources within a consistent, ecclesiological frame of reference: All Saints’, Whitby, a fairly large brick church of 1865–66; St John’s, Port Hope, a stone church of moderate size built in 1867–68; and St Thomas’, Brooklin, a modest but exemplary chapel of 1869–70 in board and batten. A work such as St Peter’s Church (Anglican), Carlton Street, Toronto (1865–66), reflects Gundry and Langley’s attempt to deal with the rural models of ecclesiology in an urban setting. This chapel type – aisleless internally and of simple profile externally, apart from a low porch on the south and west sides and an open belfry on the west gable – was derived from St Michael’s at Longstanton, near Cambridge, England, a 13th-century precedent long approved by Puginians and ecclesiologists alike. St Peter’s red-brick body with white-brick detailing was inspired by the “constructional polychromy” recently favoured for town churches by a leading Camdenian, George Edmund Street. An earlier example of a similar type, in red brick with grey granite, is Thomas Fuller*’s St Stephen-in-the-Fields, Toronto (1858), restored by Gundry and Langley following a fire in 1865. Langley had the distinction of completing Toronto’s two cathedrals. In 1865, during his partnership with Gundry, he designed a bell-chamber and spire for St Michael’s (Roman Catholic). The ornate profile punctuated by crockets complements the Decorated Gothic structure of 1845–48 by William Thomas*. In 1872 Langley also executed a belfry and spire, though with fewer enrichments, for St James’ (Anglican), finishing its porches at the same time. In this instance, however, he seems to have been guided by designs that W. G. Storm had drafted earlier. Apart from ecclesiastical projects, one of the most important commissions of Gundry and Langley was Government House in Toronto (1867–69), since demolished. The commission constituted a notable piece of provincial patronage. The rather dour mansion itself was a large and early domestic example of the Second Empire style. Under a characteristic mansard roof that gave the building a distinctive high profile, it was symmetrical about a central tower. Langley described it as “designed in the modern French style of architecture which has been adopted largely in American cities, and is rapidly getting into favour in England,” a statement indicative of the growing reliance upon American sources among Canadian architects. Significant in terms of the firm’s commercial work was the Toronto dry-goods warehouse (1862–63) of John Macdonald*. Remarkable for its “great system and gigantic scale,” this five-storey stone building of Italian Gothic form towered above its neighbours on Wellington Street and was considered an extravagance when commissioned. It soon became the envy of the mercantile community, however, and established a precedent for the ostentatious and large-scale warehouses and office blocks of the future, many of which would be executed by the Langley firm. After Gundry’s untimely death in 1869, Langley practised on his own for three years, one of the most productive periods of his career. He was assisted by his nephew Edmund Burke* and by Frank Darling*, who had begun their articles with him in the mid 1860s and would go on to be counted among the country’s foremost architects. Following an unsatisfactory competition in 1868–69, Langley, the runner-up, wrested the commission for Metropolitan Church on McGill Square in Toronto from the first-prize winner, W. G. Stone. Langley proposed a virtual cathedral of Methodism in 14th-century French Gothic style. The exterior, of white brick trimmed in stone, appeared to be a conventional basilican design complete with shallow transepts and semi-polygonal apse. The interior, however, consisted of a rectangular auditorium encircled by a gallery, and the apsidal portion was filled with lecture halls and Sunday-school rooms. Built in 1870–72, it was extensively altered after a fire in 1928 and the tower is the only part that is now recognizable as Langley’s work. His designs for evangelical congregations continued to combine traditional Gothic exteriors with auditorium plans until late in the 1880s, when Edmund Burke, then a junior partner, would adopt a Romanesque revival model influenced by American architect Henry Hobson Richardson. The eighth Post Office (1872–74), by Langley, was begun while Metropolitan Church was in progress but was in an enriched version of the Second Empire style. It crowned the vista on Toronto Street at Adelaide, in the heart of the city’s business district. 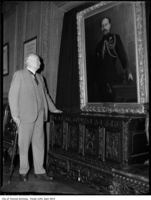 Initially the Canadian government had obtained plans from Alfred B. Mullett, supervising architect for the American Department of Treasury. In 1870 these were turned over to Langley, who was instructed to retain “the dimensions and interior arrangements for postal purposes.” His scheme incorporated key features of the archetype adopted by Mullett for federal buildings throughout the United States, including paired orders at every level of the frontispiece, flanking pavilions of channelled ashlar, and a bulbous dome at the centre. That the government had requested Mullett’s assistance confirms once more the tendency to rely upon American models, a practice increasingly common towards the end of the century. Unfortunately this focal landmark was demolished in 1958. In 1873, part way through these important projects, Langley formally took his brother Edward, a builder, and Edmund Burke into partnership: Langley, Langley, and Burke. After Edward dropped out of the firm in 1883 and moved to California, it was known as Langley and Burke. The number of employees in its drafting room increased dramatically in response to a growing volume of work, and operational methods began to parallel those of some of the larger architectural practices in the United States. The list of draftsmen includes several, in addition to Burke and Darling, who were to become prominent in the next generation of architects, including Murray Alexander White and John Charles Batstone Horwood. Throughout the 1870s Langley’s firm handled a prodigious amount of commercial work in Toronto in various styles, ranging from Second Empire for the Bank of British North America (1871–73) and the Imperial Chambers (1874) to High Victorian Gothic for the offices of the Union Loan and Savings Company (1878–80) and the Building and Loan Association (1878), and from commercial palazzi for Stovel and Armstrong, tailors (1873), and Thomas May and Company (1877) to American néo-grec for Canada Life Assurance (1874–75). All but the bank have been demolished, and its symmetrical appearance has been significantly altered by the relocation of its entrance from the Wellington Street face to the Yonge Street front. 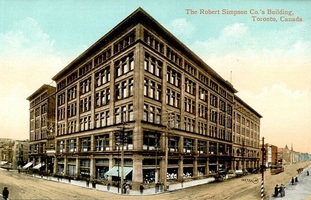 These works set the tone for the firm’s most innovative schemes, among them the Army and Navy Store of 1887–88 for William A. Thompson (doubled in size about 1890–91), which still stands on King Street East nearly opposite St James’ Cathedral. Iron and terracotta play important structural and decorative roles here. A monumental arch extends the shop windows of the ground floor up through the fully glazed second floor to the top of the third, creating a high ratio of glass to solid wall; a more conventional grouping of windows in the fourth storey terminates the structure. Much of the later work credited to Langley, including the Army and Navy Store, McMaster Hall on Bloor Street (1880–81), Sherbourne Street Methodist Church (1886–87), and Western (later Trinity) Methodist (1888–89) at Bloor and Major streets, is attributable to Edmund Burke, who acted as Langley’s design partner during this period. This conclusion is supported by Burke’s comments, his long association with the family of William McMaster*, building-committee minutes for the projects in question, and a plan of the firm’s office, published in Canadian Architect and Builder in 1890. This plan shows that Burke’s own office, which had direct access to and overlooked the drafting room, contained a drafting table and a writing-desk, whereas Langley had only a desk, an indication that he must have carried little more than administrative responsibilities by this date. Langley’s management of the office was none the less a driving force behind the firm’s success. Committed to artistic excellence, Langley was involved in the 1860s as a judge in the fine-art section of the exhibitions sponsored by the Agricultural Association of Upper Canada. In 1873 he became a member of the Ontario Society of Artists, and his partnership began to contribute to its annual exhibitions. Three years later he served on the selection committee for the American centennial exhibition in Philadelphia; a lithograph submitted by the firm earned one of four bronze medals presented by Canada’s commission there. And in 1880 Langley was named a founding member of the Royal Canadian Academy of Arts, depositing as his diploma work a perspective (rendered by Frank Darling) of the design for Metropolitan Church. From 1881 to 1901 he was the academy’s auditor and for several years he sat as a councillor. Langley’s concern for the status of the architectural profession is clear from his role in the creation of an architects’ association in Toronto in 1876. Within a year this had become the Canadian Institute of Architects, but it folded sometime after February 1878. In the following decade Langley was among the early members of the Architectural Guild of Toronto, founded in 1887. He also worked for the formation of the Ontario Association of Architects in 1889 and the endowment that year of a chair in architecture at the School of Practical Science on the University of Toronto campus. The standards he set in his practice inspired his students to take an equally active interest in the profession. Langley was an exceptional practitioner by virtue of the unusual size of some of his commissions, the scale of his practice, and the numbers of architects he trained. Through his churches he left his stamp on the skyline of a great many Ontario towns. At the same time his work was representative for he was rarely adventurous. That he was so conservative is not surprising considering that he was among the first generation of architects born and trained in English-speaking Canada. His career serves to link the era of the immigrant British architect and received tradition with the succeeding generation, educated in modern building technology and abreast of North American developments. When Burke left the firm during a building recession in 1892 to purchase the practice of the late W. G. Storm and take over the commissions unfinished at his death, Langley’s son Charles Edward (the first graduate of the department of architecture established at the School of Practical Science in 1890) joined his father’s firm, which continued as Langley and Langley. Henry Langley’s health began to fail about 1898 and he died in 1907, but his sympathetic nature and his commitment to the profession were not forgotten. His colleagues remembered him as “a man of great kindness of heart, upright in all his dealings . . . , and one who from first to last upheld and practised honourably his chosen profession.” For all the warmth of character he evidently possessed, Langley was a private man. His political allegiances are not known. He was a member of the Toronto Board of Trade. The census records most often identify his religious affiliation as Plymouth Brethren, whereas his parents were Baptist. About 1866 he married Anne Booth from England, and they are reported to have had seven children, five of whom survived to adulthood. One son, Ernest Felix, became a professor of linguistics at Dartmouth College in Hanover, N.H. Another, Frederick William, practised architecture in Chicago. Charles continued his father’s office and in 1907 formed a partnership with one of Langley’s former students, William Ford Howland. Henry Langley was buried in the Necropolis, for which he had designed the chapel, superintendent’s lodge, and entrance gates in 1871–72. AO, Architectural Drawings Coll., C11, including MU 3985, articles of agreement between Edward Langley Sr, Edward Langley Jr, and Edmund Burke, 24 Oct. 1892; F 1140, MU 2254, 23 Dec. 1873, 1 April 1876; F 1403, 3 Oct. 1887, 11 Oct. 1888; RG 22, ser.305, nos.4657, 78574; RG 55, partnership records, York County declarations, no.694 CP. MTRL, Henry Langley papers. NA, MG 28, I 126, vols.7, 17; RG 11, 307, no.881; 313, no.883; RG 31, C1, 1861, Toronto, St Andrew’s Ward, dist.1: 29; 1871, St James’ Ward, dist.47: 37. Private arch., Robert Hill (Toronto), “The biographical dictionary of architects in Canada, 1800–1950,” ed. Robert Hill (research project in progress). Toronto Necropolis and Crematorium, Burial records, lots O-255, O-261. Globe, 1883–84. World (Toronto), 10 Jan. 1907: 5. G. M. Adam, Toronto, old and new: a memorial volume . . . (Toronto, 1891; repr. 1972). E. [R.] Arthur, Toronto, no mean city, rev. S. A. Otto (3rd ed., Toronto, 1986). Stephen Beszedits, Eminent Toronto architects of the past: their lives and works (Toronto, 1983). Christina Cameron and Janet Wright, “Second Empire style in Canadian architecture,” Canadian Hist. Sites: Occasional Papers in Archaeology and Hist. (Ottawa), no.25 (1980). Canadian Architect, 20 (1907): 14. A. K. Carr, “From William Hay to Burke, Horwood & White: a case history in Canadian architectural draughting style,” Soc. for the Study of Architecture in Canada, Bull. (Edmonton), 15 (1990), no.2: 41–51; “‘On the highest plane of his possibilities’: the career of Toronto architect Edmund Burke (1850–1919)” (phd thesis, Univ. of Toronto, 1990). William Dendy, “Government House, Toronto, 1866–70,” Canadian Collector (Toronto), 12 (1977), no.5: 21–25; Lost Toronto (Toronto, 1978). William Dendy et al., Toronto observed: its architecture, patrons, and history (Toronto, 1986). Ralph Greenhill et al., Ontario towns ([Ottawa, 1974]). Illustrated Toronto, past and present, being an historical and descriptive guide-book . . . , comp. 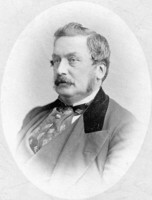 J. Timperlake (Toronto, 1877). Marion MacRae et al., Hallowed walls: church architecture of Upper Canada (Toronto and Vancouver, 1975). M. L. Mallory, “Three Henry Langley churches: Victorian Gothic architecture and the diversity of sects in Ontario” (ma thesis, Univ. of Toronto, 1979). The Methodist churches of Toronto: a history of the Methodist denomination and its churches in York and Toronto, with biographical sketches of many of the clergy and laity, ed. T. E. Champion (Toronto, 1899). Ont., Agricultural and Arts Assoc., Trans. (Toronto), 7 (1869–71): 77, 259. RCAA exhibitions (McMann). Robertson’s landmarks of Toronto. Judith St John, Firm foundations: a chronicle of Toronto’s Metropolitan United Church and her Methodist origins, 1795–1984 (Winfield, B.C., 1988). Geoffrey Simmins, Ontario Association of Architects: a centennial history, 1889–1989 (Toronto, 1989). Toronto, Board of Trade, “Souvenir”. U.C., Board of Agriculture and Agricultural Assoc., Trans. (Toronto), 5 (1860–63): 252, 364; 6 (1864–68): 175. William Westfall, Two worlds: the Protestant culture of nineteenth-century Ontario (Kingston, Ont., 1989). Douglas Richardson and Angela K. Carr, “LANGLEY, HENRY,” in Dictionary of Canadian Biography, vol. 13, University of Toronto/Université Laval, 2003–, accessed April 24, 2019, http://www.biographi.ca/en/bio/langley_henry_13E.html.